You've chosen the perfect style of logs for your fireplace and determined the type of fuel and venting that is needed. The next step is to decide how you will light the burner. 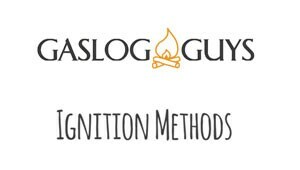 There are a variety of Safety Pilot Kit options available for most gas log sets, and each manufacturer has specific features and functions for their ignition methods. Below is an overview of the basic features of each type. 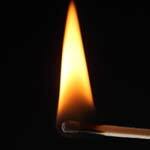 The Match Light lighting method is the most basic lighting method. It has no pilot valve assembly at all. You place a match or lighter near the log burner and turn on the gas with your existing gas key valve. Flame height is controlled by adjusting your key valve to let more or less gas flow to the log set. This lighting method is available for natural gas log sets only and is the least expensive and problematic; however, it also requires great care when lighting the burner. It is of utmost importance that you turn the valve completely off when the burner is not engaged to prevent gas from leaking into your home. The Manual Safety Pilot lighting method includes a safety pilot valve assembly as well as a push button igniter. 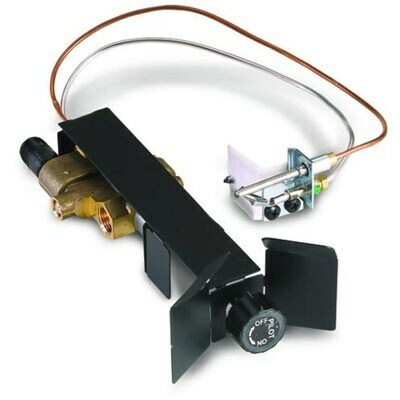 With a push button system, the spark to light the gas is generated by pressing the valve control repeatedly to ignite the gas and is then turned to increase the flame.The pilot valve has a safety mechanism built in which shuts off the gas supply in the event that the pilot light goes out or the burner is not lit. You have the option of utilizing the standing pilot which allows the burner to be continuously lit giving you the ability to turn the log set on and off as many times as you want using the control knob located on the side of the log burner without ever holding a match to the burner. With a push button system, the spark to light the gas is generated by pressing the valve control repeatedly to ignite the gas and is then turned to increase the flame. This must be done each time you wish to light the burner if you choose not to use the standing pilot function. 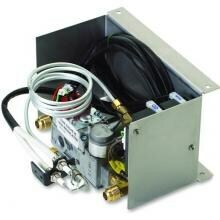 With the electronic ignition remote system, electricity is used to ignite the spark each time the burner is lit. Some remotes will require an electrical outlet at the fireplace, and others operate from batteries. It is not necessary to maintain a standing pilot or light the burner by hand. This offers great convenience and enables you to enjoy your fireplace without interrupting your relaxation. 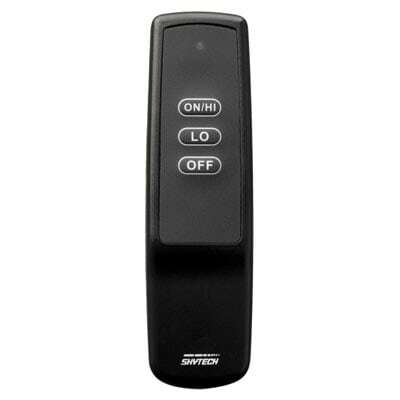 Please see all the great Remote Control Features that will assist in that relaxed state. The Basic Remote Control lighting method features an included remote pilot valve assembly and allows you to turn the burner on or off only. The flame will be consistently the same height. The Variable remote adds the capability to adjust the flame height at your discretion, allowing you to maintain the level of heat produced in your room. We recommend you take a good look at the Remote Control Compatibility Chart to maximize all your features. 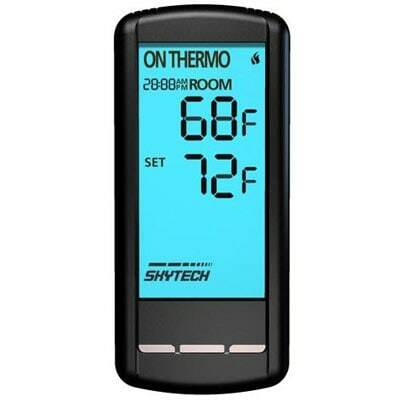 The variable remote with thermostat allows you to control the temperature in your room in much the same way as the thermostat of your home heating system. Most can be used with a millivolt safety pilot or electronic ignition. 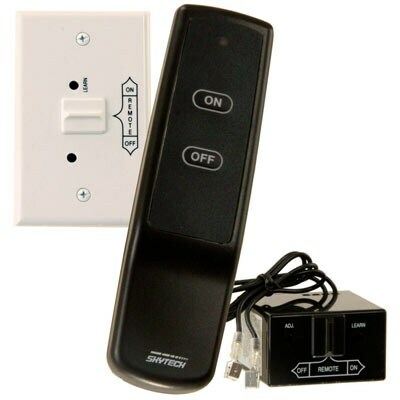 Wall switches are another option to use with your gas logs. Please see Wall Switch Chart for easy reference. The capabilities will depend upon the type of safety valve and ignition method used. 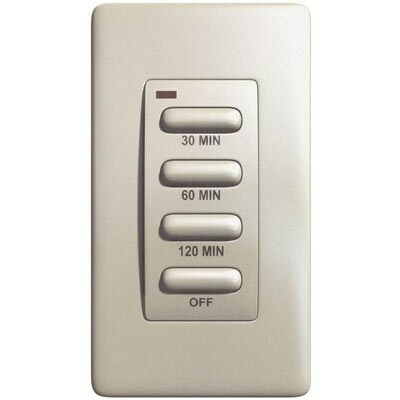 Generally speaking, the wall switches will offer the same functionality as a remote but are permanently mounted in an easily accessible location. This is a great option if you have children in the home who might be tempted to use the hand-held remote.